In the city of many #selfies, these beauty services took us from filters to #nofilter in 12 months. In the past few years there have been a lot of big developments in the beauty world: blow-dry bars, nail art, the rise of retinoid treatments—and that's just to name a few. This year was an especially interesting year, and as editors, we try a lot of new things. The services that made this list are near and dear to us because we more-than-just wrote about these new services—we actually recommended them to our friends. More and more we're seeing the trend of services coming straight to you in your home, and we're totally on board. From alcohol delivery to massages, it's time that hair and makeup joins the list of indulgences we like to come to us. Pair that with a techie makeup tutorial via Google Glass and unlimited blowouts at a Melrose Avenue salon, and we're looking at five new services in LA that changed the game this year. Gone are the days of scrambling to curl your hair trying not to burn yourself or doing makeup in the car on your way to an event. 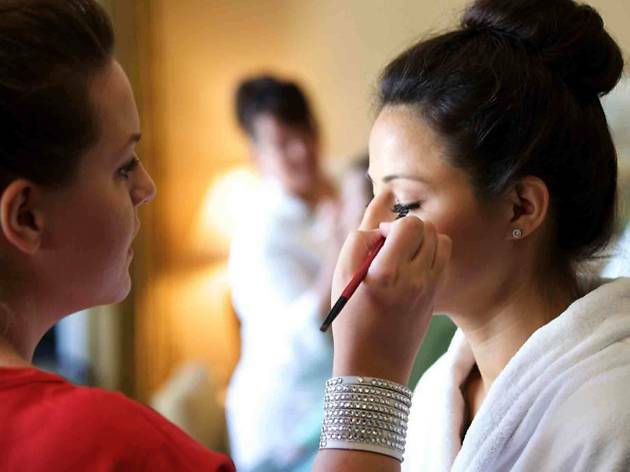 This beauty app has changed the way we think about getting ready. Hailing from NY, the app is like a blow-dry and makeup bar that comes straight to your door—whether it's your home, office or even the gym. Place your order on the app and in less than two hours a vetted hair stylist or makeup artist will show up at your door ready to glam you up. The best part? There's a fixed rate for all of their services so no need to scramble to calculate the tip in your head while being doused in hairspray. Prices are $50 for a blowout, $75 for a braid, $85 for an up-do and $75 for full-face makeup. The fine print: 20 percent gratuity will automatically be added after your appointment—think of it as an Uber or Lyft (no cash will be exchanged). Cult-favorite cosmetics line Hourglass debuted its first stand-alone store on Abbot Kinney this fall. 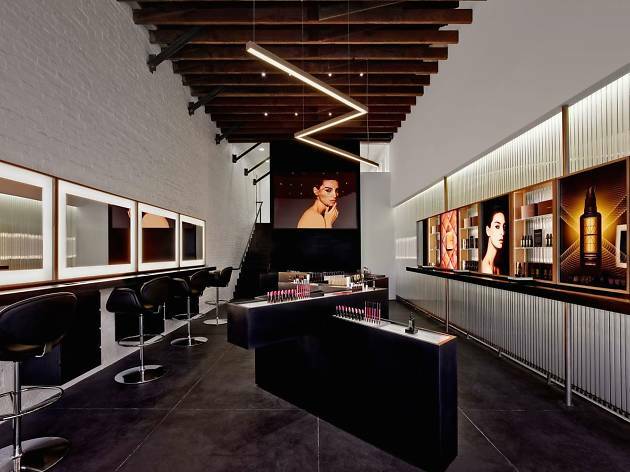 The modern makeup boutique features a zig-zag layout of foundation, mascara, lipsticks, blushes, bronzers, shadow palettes and more, alongside mirrored walls so that you could play with the luxe products before you buy them. What makes this makeup boutique unlike others? 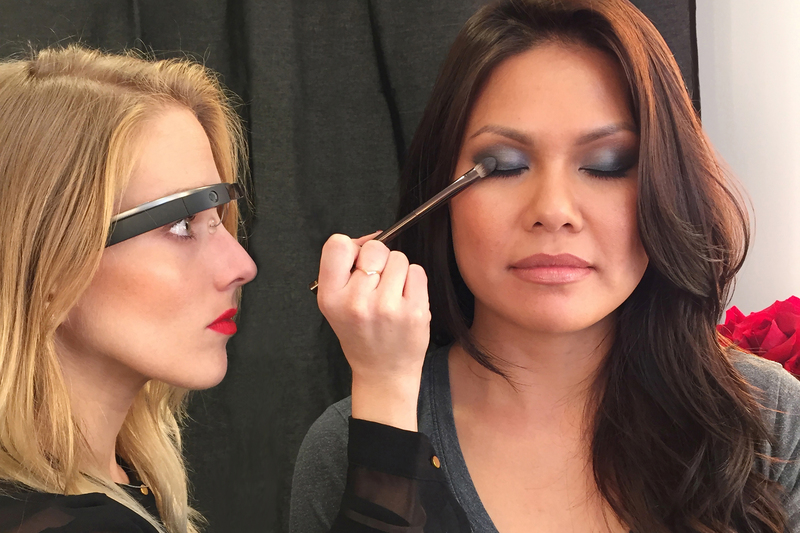 Hourglass offers the standards like makeup applications, personal consultations and makeover parties for group lessons, but the real draw here is their Google Glass service ($125). 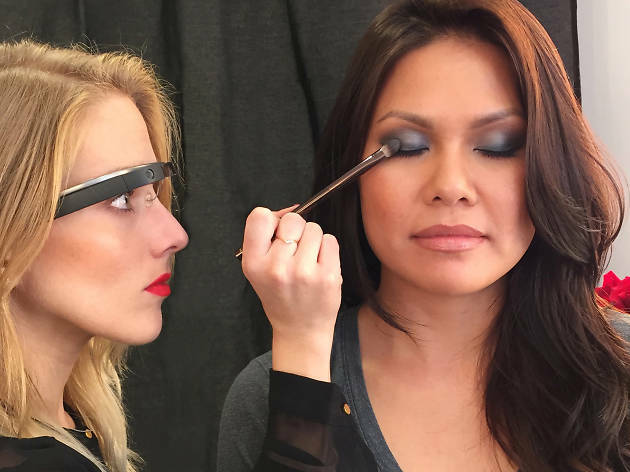 Get your makeup done by a professional and instead of taking home a few notes jotted down on paper, the artist will be recording the entire session using Google Glass. Afterward you'll have the step-by-step directions (plus personalized tips and tricks) on video, emailed directly to you. Lay off the YouTube tutorials and ask Hourglass to teach you everything from a 5-minute face to a vampy smokey eye. Similar to other beauty-straight-to-your-home apps, Stylisted is taking the model and turning it on its head. Using a user rating system (à la Yelp) and different levels of hair stylists and makeup artists—you can actually choose if you want a budget-friendly blowout from a rookie or a splurge-worthy 'do from a celebrity stylist. 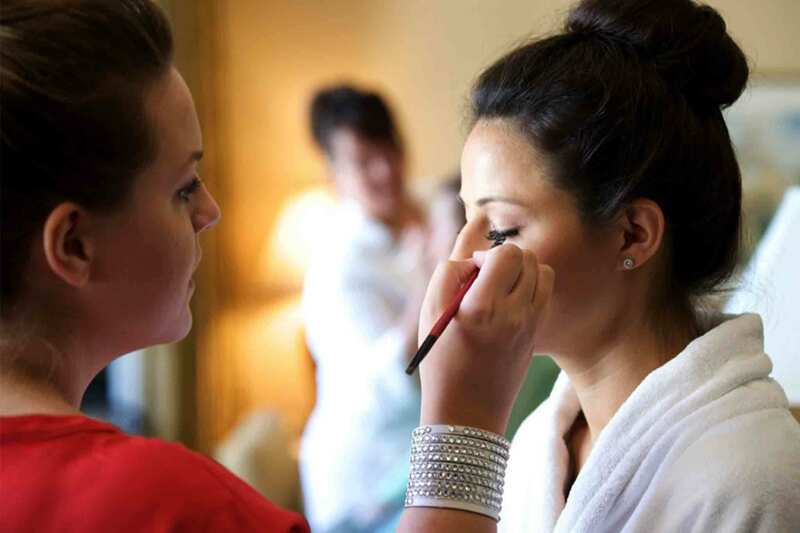 The prices are set by the makeup artists and hairstylists themselves, which is what makes this service stand out from the rest. Also, you can see the products they like to use (this is particularly helpful when choosing a makeup artist for specific look or if you have fussy hair) and sift through many, many examples of their work. 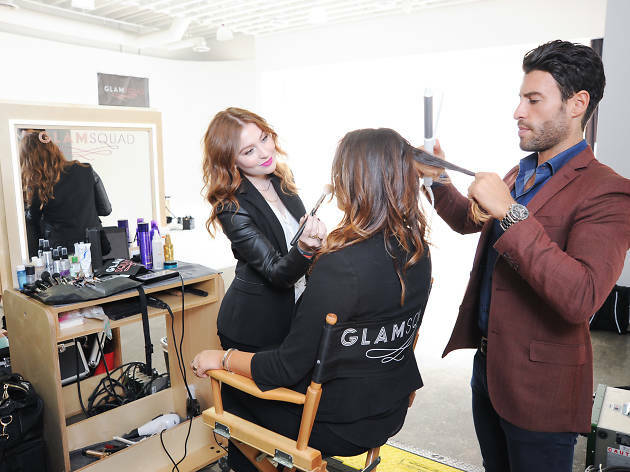 Prices vary drastically, as do services, but let's just say we've already spotted a few beauty professionals from high-end LA salons as part of their vetted network. Think of Society Salon as a gym membership for your hair. For one monthly fee ($60-$180 based on membership level), clients get unlimited access to top-quality blow-outs, color, highlights and cuts. 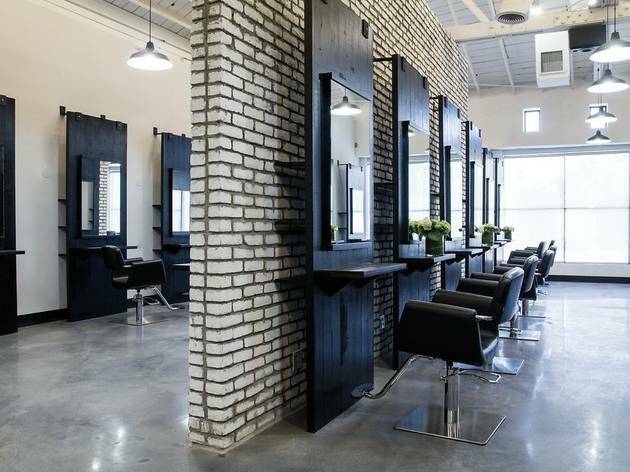 The sleek salon is super chic, but the focus here is on quality hair care. 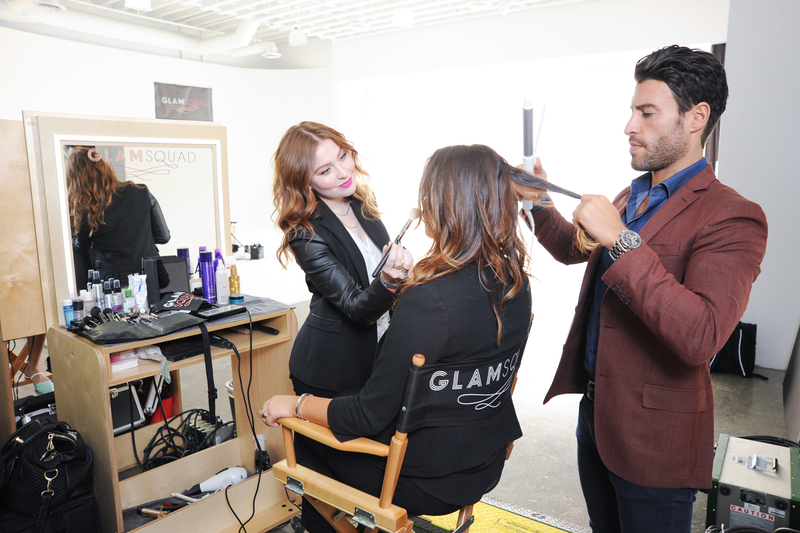 The products are top-shelf and the stylists and colorists are hand-selected. 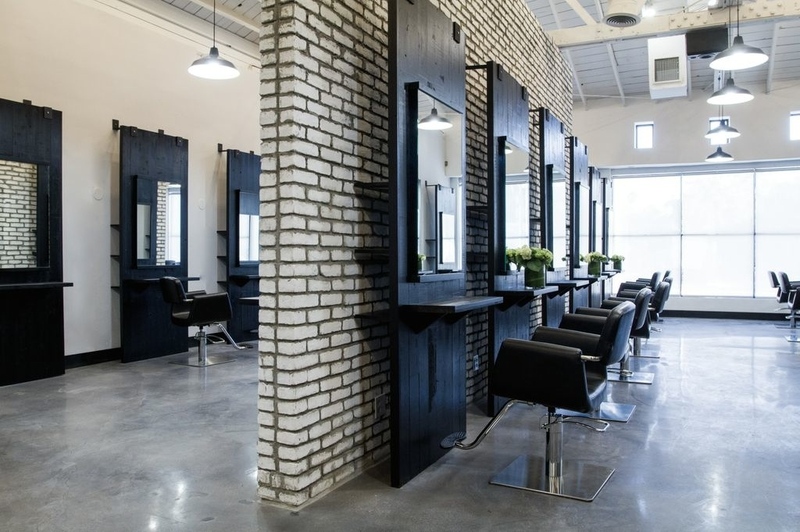 This game-changing concept is the brainchild of founders Sam DiVine and Ashley De Azevedo who believe that the salon experience should be accessible on a daily basis, not just for special occasions—cue the applause. Talk about the whole package. The recently launched Priv app is all about beauty and wellness. Haircuts, blow-outs, makeup (including brow shaping), nails, massage, spray tans, and even workouts (yoga, pilates, dance, cardio, bootcamp, kickboxing and personal training) come straight to you on-demand, via your smartphone. In a time crunch? Aren't we all? Get the entire crew to your house at the same time, meaning: get a haircut, pedicure and makeup done all at once. Book up to 48 hours in advance and once you try a service with someone you like, you can message them directly to book another appointment. Think of this app as a health and beauty fairy godmother who can (at the stroke of a wand iPhone) summon all the services you need. Prices for the most part are affordable and vary per service, ranging from $35 for a men's manicure, $75 for a women's haircut with blow-out, and $240 for a 90-minute couples massage. We're downloading the app as we type. $55 for a 30-minute desk-side massage at work on a Monday? We're already spoiled silly.